When someone buys a Fat Boy in India, the first thing they do is remove the saree guards. 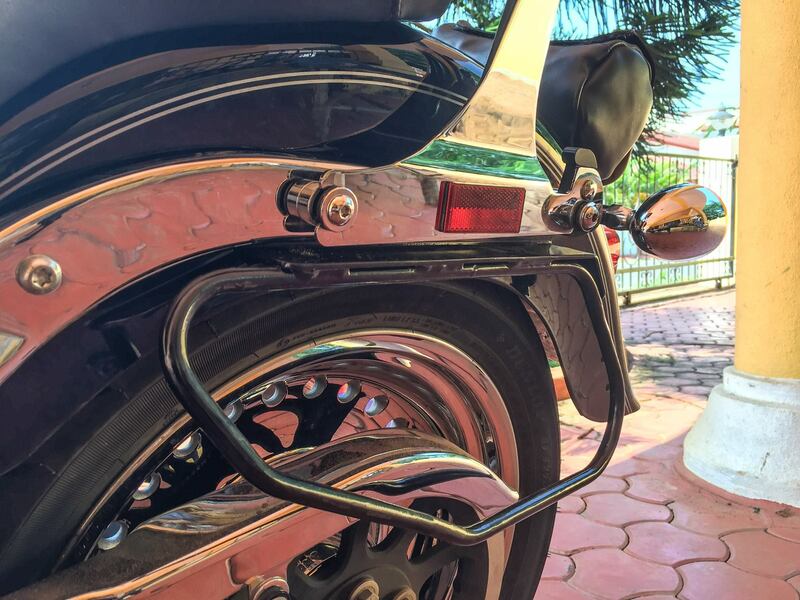 Using their infinite wisdom, the folks at Harley-Davidson gave the Fat Boy not one but two saree guards, one on either side. Looks like the engineers who designed these guards know precious little about the Indian saree and how women wearing it sit on motorcycles. To make things worse, the left guard is longer than the right one making it look a little weird. 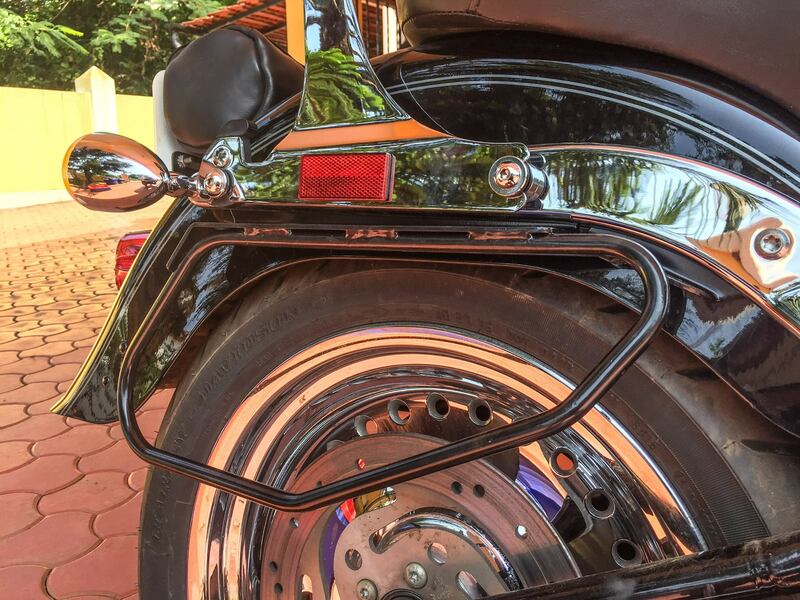 The reason I didn’t remove the saree guards on Blackbird was so that I could use them as supports for my saddle bags. 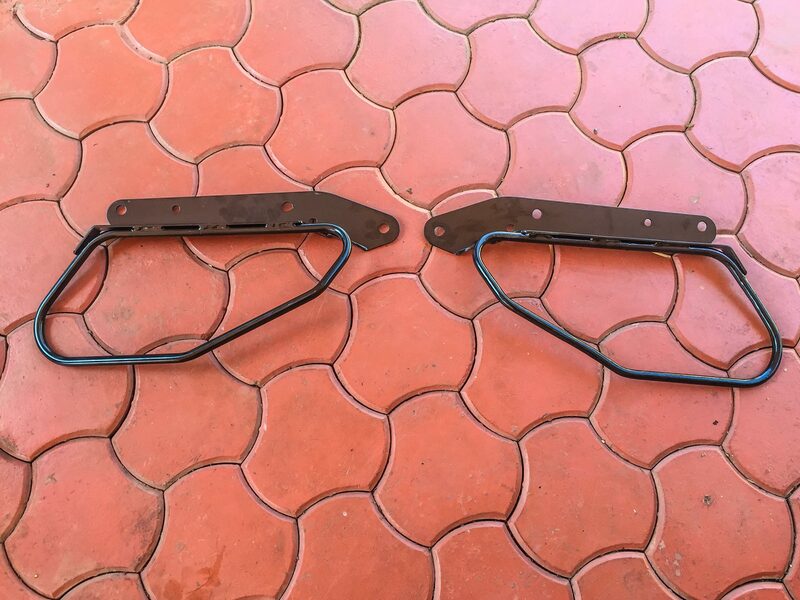 After my search for a proper accessory failed to yield any results I decided to make the supports out of the saree guards themselves. As always Prajhot Pednekar did an excellent job of tweaking the saree guards. They look a lot less atrocious now.